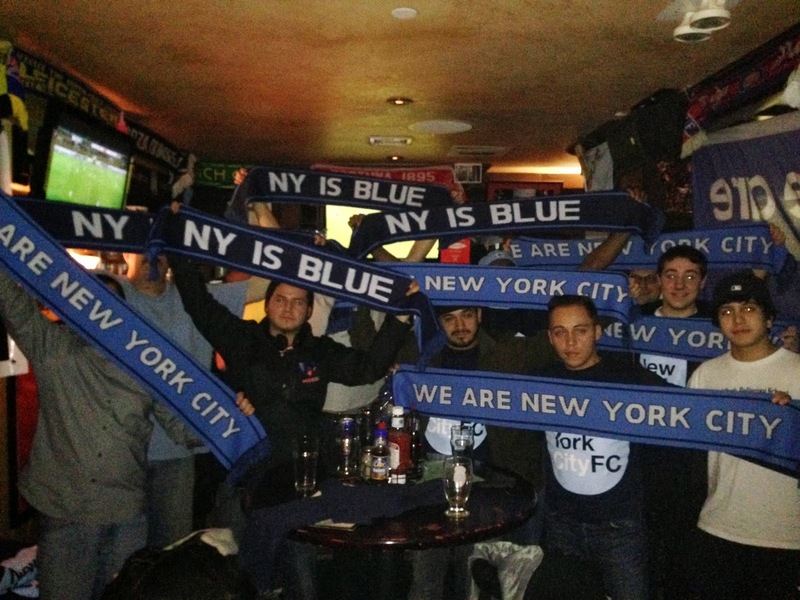 NYC is Blue: Soccer Newsday: "NYCFC Supporters’ Group Begins to Grow"
Soccer Newsday: "NYCFC Supporters’ Group Begins to Grow"
Writer Nick Chavez, in his "Blue City" column for Soccer Newsday, has reported on the first organizational meeting we held a week ago in Midtown Manhattan. I attended the inaugural meeting of New York City Football Club's first-ever supporters' group on Saturday, Feb. 22, at the Football Factory of Legends bar in Manhattan. The meeting was chaired by Chance Michaels, the owner of the @NYisBlue NYCFC fan account on Twitter (and co-organized by Anthony Buckley who runs the @NYCFC_SC twitter account, but couldn't make the first meeting due to complications with Amtrak), and he led the discussion outlining his ideas for what the group should represent, what its goals should be moving forward, the challenges the club will face and other details. Most of all, it was more of a casual meet up between fellow soccer supporters in the New York City area that believe in the potential and vision of NYCFC, and want to be the first to use their voices and efforts to support this club, which is still very much in its infancy. Chance had reported that there were a "few dozen" people in attendance at this meeting that took place in the northernmost third of the Football Factory. He chaired the meeting and wanted those in attendance to know that he preferred this to be a more informal get-together, getting to know some of the fellow NYCFC supporters face-to-face before more formal proceedings in the future. He asked those present which foreign football clubs they support, and the majority stated they were English Premier League club fans. Interestingly enough, there was only one Manchester City supporter in attendance with, ironically, a "handful" of Manchester United supporters. This is a promising sign for the yet-unnamed supporters' group of NYCFC, since the club will really be hoping to bring as many of the large number of international soccer fans in the city as they can, and they will also be hoping that fans of clubs other than Manchester City will not be put off by the fact that NYCFC is owned by the club. The soccer fans in the New York City area that are already fans of other local soccer clubs, like those of Red Bull New York or the New York Cosmos, are passionate about local soccer and are not likely to "jump ship" to NYCFC, so it is the large number of soccer fans in New York City area that have been ignoring America's domestic soccer leagues that NYCFC will really be hoping to win over. This has been and will be a big challenge for the club and its supporters' groups hoping to recruit fans and members. 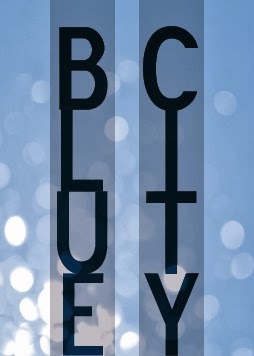 The message the club and its supporters will want to make perfectly known is that New York City FC is New York City's own club, regardless of international club allegiance, even if the club one has supported is a big Manchester City rival such as Manchester United, which is considered by many to be the most popular club in the world. American soccer fans must understand that European and Latin American club allegiance is completely irrelevant to supporting the club that represents the city someone lives in, or a person's most local club. Local professional clubs must be supported in the US in order for America's domestic leagues, and therefore US Soccer, to thrive, and that will be very difficult to achieve if American soccer fans are overly concerned with which entities invested in and established the local club. And since most American soccer fans started falling in love with the game as a spectator by following foreign soccer, it is something that they will need to understand if they ever want their domestic soccer leagues and national team to really achieve the level of success and quality that they potentially can. NYCFC Supporters' Group also reached out to NYCFC club officials to ask if they wanted to send a club representative to attend the meeting, but the club declined the invitation. As Chance explained (supported by what I was told in my own discussion with NYCFC VP of Ticket Sales and Fan Services Mike Quarino at the Jason Kreis announcement press conference), NYCFC declined because it does not want to be directly involved with the organic establishment, development, and direction of any NYCFC supporters' group, besides providing moral support and sharing news regarding the supporters' groups' activities and opportunities for NYCFC's fans to get involved via social media. The new NYC club prefers that the supporters' group, and those that might be created in the future, all be independently formed and remain an impartial voice of NYCFC fans. The group also discussed the difficulties involved in supporting NYCFC in a temporary home stadium, especially if that stadium is Yankee Stadium. They discussed the obstacles they might face in creating a loud, intimidating atmosphere in such a stadium, not built with soccer matches in mind, and how it is likely to initially negatively affect the image of the club's support in the stadium and on television. This remains a concern for the group, but everyone seemed in agreement that NYCFC's first supporter's group should strive to be as vocal and animated as possible. One cannot underestimate the way a loud, enthusiastic stadium can influence the perception of on-lookers. A team can look like an irrelevant club or a very important, top soccer club just by how well it is supported at a live home game. No one can deny that the passionate, vocal crowds of the MLS clubs in Seattle, Portland and Kansas City and others make their teams look very important to their local community, which only helps in gaining further support from new fans, whether soccer fans already, or potential fans of the sport stumbling upon their first MLS game on television. To have such an atmosphere from the very beginning would be a godsend for NYCFC's hopes of capturing the imagination of the NYC-metro area, and the supporters' groups must recognize this and strive to see that unified, passionate vocal support becomes one of the pillars of their philosophy and mission. One of the advantages NYCFC and its first Supporters' Group have is the opportunity to allow fans to make history with the club from its very inception. This is a rare opportunity for modern-day soccer fans, who can only read about and dream of what it was like to be the first supporters of great international football institutions like Real Madrid, Manchester United, AC Milan, Bayern Munich and others. With NYCFC they have this extraordinary opportunity, and in the great city of New York, with this ambitious and wealthy ownership group, and with the continued growth and investment in MLS, they can realistically dream of also eventually being one of the great soccer clubs in the world. Here is New York City's soccer fans' chance to build a globally-relevant football institution, like those revered around the world, from the ground up. It's a rare opportunity to really start an important chapter in American soccer history. Chance Michaels and NYCFC's first ever supporters' group is answering that challenge, and will be striving to recruit as many of the great number of soccer supporters in the New York City area as they can. And they are doing so with a firm message to all, as Chance Michaels put it, "NYCFC is our local side, and should be able to be followed by all New Yorkers regardless of whatever other (foreign club) affiliations we have." And with this meeting, they have taken the first official, historic step in helping to build and establish New York City Football Club's organized support. Without a doubt, their efforts, passion and commitment will be indispensable to the future success and relevance of NYCFC to the local community, and American soccer as a whole. Please read his column on the Soccer Newsday site. I have a great deal of respect for Nick as a writer. I also value his opinions on the sport, as well as his input on the formation of our group, the challenges we face and the immense opportunity ahead of us. It was a pleasure to finally meet him in person. Check out his column archive here.